WASHINGTON – Federal regulators unveiled a plan Tuesday that would give Internet providers broad powers to determine what websites and online services their customers can see and use, and at what cost. The move sets the stage for a crucial vote next month at the Federal Communications Commission that could reshape the entire digital ecosystem. The FCC's Republican chairman, Ajit Pai, has made undoing the government's net neutrality rules one of his top priorities, and Tuesday's move hands a win to broadband companies such as AT&T, Verizon and Comcast. Pai is taking aim at regulations that were approved two years ago under a Democratic presidency and that sought to make sure all Internet content, whether from big or small companies, would be treated equally by Internet providers. The decision will be put to a vote at the agency's Dec. 14 meeting in Washington. It is expected to pass, with Republicans controlling three of the commission's five seats. In a news release, Pai said his proposal would prevent the government from "micromanaging the Internet." Under the new rules, he said, the FCC would "simply require Internet service providers to be transparent about their practices." The proposal would also shift some enforcement responsibility to the Federal Trade Commission, which can sue companies for violating the commitments or statements they have made to the public. Relying more heavily on Internet providers' own promises on net neutrality is a departure from the current rules, which lay out clear, federal bans against selectively blocking or slowing websites, as well as speeding up websites that agree to pay the providers a fee. Lifting the rules will allow Internet providers to experiment with new ways of making money. In recent years, some broadband companies, such as AT&T, have tried offering discounts on Internet service to Americans so long as they agree to let the company monitor their Web browsing history, for example. Other companies, such as Verizon, have exempted their own proprietary apps from mobile data caps in a bid to drive user engagement. 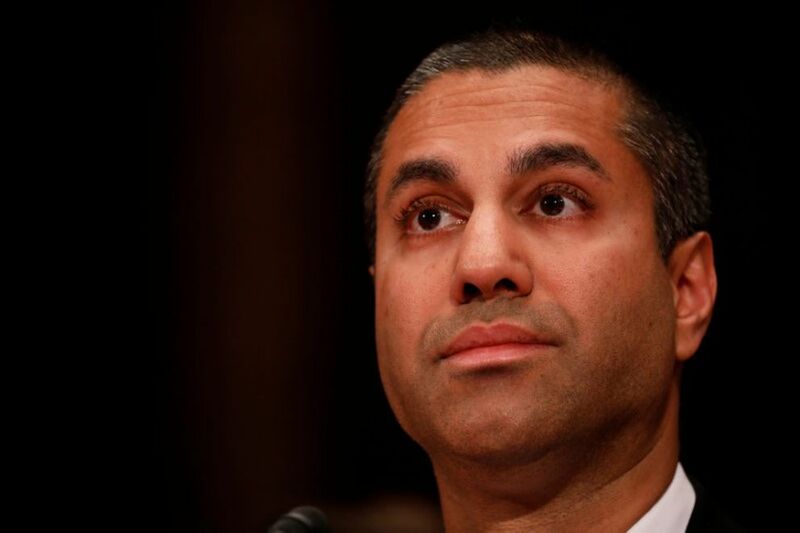 The practice, known as zero-rating, was criticized by the previous FCC as a potential violation of net neutrality principles, but Pai rescinded his predecessor's findings upon taking office. Internet providers welcomed Tuesday's FCC announcement. "We're very encouraged by Chairman Pai's announcement today that the FCC will move forward next month to restore the successful light-touch regulatory framework for Internet services," Verizon said in a statement. Some analysts said that the FCC proposal was appropriate and that there is no economic evidence for regulatory intervention. "In the absence of a market failure, the constitution doesn't permit the FCC to treat the information superhighway … like a public utility," said Fred Campbell, director of the think tank Tech Knowledge. The FCC's proposal is largely opposed by Internet companies such as Google, which said Tuesday that the net neutrality rules help protect an open Internet. "The FCC's net neutrality rules are working well for consumers, and we're disappointed in the proposal released today," Google said in a statement. Former Democratic FCC chairman Tom Wheeler, who drafted the 2015 net neutrality rules and rammed them through despite Republican opposition, called Tuesday's move "tragic," arguing that "if you like your cable company, you'll love what this does for the Internet. "The job of the FCC is to represent the consumer," he said in an interview. "Tragically, this decision is only for the benefit of the largely monopoly services that deliver the Internet to the consumer." One major beneficiary of the rule-change may be AT&T, which is embroiled in a landmark legal dispute with the Justice Department over an $85 billion purchase of the entertainment conglomerate Time Warner. Should AT&T's acquisition of Time Warner be allowed to close, a repeal of the FCC's net neutrality rules could give the telecom giant greater power to flex its new content properties in different ways, according to some analysts. The most immediate effect of the FCC's plan "is that constraints limiting contractual arrangements [between Internet providers and other companies] … will be lifted for both AT&T and its competitors," said Joshua Wright, a former Republican FTC commissioner. Terrell McSweeny tweeted "So many things wrong here, like even if @FCC does this @FTC still won't have jurisdiction. But even if we did, most discriminatory conduct by ISPs will be perfectly legal." Allowing the FTC to police broadband providers' own promises is tantamount to providing "toothless protections," according to consumer advocates. Matt Wood, policy director for the advocacy group Free Press, likened the proposed system to the way that many companies design their privacy policies. "You need only look to how privacy policies from websites allow essentially any and all bad behavior," Wood said, "so long as it is disclosed to users." Maureen Ohlhausen, the acting chairman of the FTC, has said that the agency's expertise in data security and privacy issues will make it a powerful defender of U.S. consumers. "The FTC stands ready to protect broadband subscribers from anticompetitive, unfair, or deceptive acts and practices just as we protect consumers in the rest of the Internet ecosystem," Ohlhausen said in a statement Tuesday. The FCC's proposal puts additional pressure on Capitol Hill, where some lawmakers have called for federal legislation that would supersede any FCC rules. On Tuesday, Sen. John Thune, R-S.D., praised Pai's effort but renewed his call for a bipartisan compromise on net neutrality, saying it was the only way to "create long-term certainty for the Internet ecosystem." Congressional Democrats have resisted working with Republicans on a net neutrality bill, saying that Pai's proposal is unlikely to survive an expected court challenge from supporters of the 2015 rules. A Democratic aide said Tuesday that "there might be room for [a] conversation" if Republicans were willing to enshrine the current rules into legislation, but that position is likely to be a nonstarter for GOP critics, who argued that the rules imposed unreasonable costs on businesses.